Written on: Wednesday, October 11, 2017. Written on: Thursday, October 05, 2017. Written on: Tuesday, August 15, 2017. Written on: Tuesday, August 01, 2017. Written on: Sunday, July 30, 2017. Written on: Monday, July 24, 2017. Written on: Friday, July 21, 2017. Written on: Tuesday, July 18, 2017. Written on: Saturday, July 15, 2017. Written on: Friday, July 14, 2017. Written on: Wednesday, July 12, 2017. Written on: Saturday, July 08, 2017. Written on: Saturday, June 24, 2017. Written on: Friday, June 16, 2017. Written on: Saturday, June 03, 2017. Written on: Friday, June 02, 2017. Written on: Thursday, June 01, 2017. Written on: Tuesday, May 30, 2017. Written on: Wednesday, May 10, 2017. Written on: Friday, May 05, 2017. Written on: Monday, May 01, 2017. Written on: Saturday, April 22, 2017. Written on: Friday, April 21, 2017. Written on: Wednesday, April 19, 2017. Written on: Tuesday, April 18, 2017. Written on: Monday, April 17, 2017. Written on: Sunday, April 02, 2017. Written on: Tuesday, March 28, 2017. Written on: Monday, March 27, 2017. Written on: Sunday, March 26, 2017. How Often Do You Use The Bowling Reset Button? Written on: Wednesday, March 22, 2017. Written on: Tuesday, March 21, 2017. Written on: Monday, March 20, 2017. Written on: Sunday, March 19, 2017. Written on: Saturday, March 18, 2017. Written on: Sunday, March 12, 2017. Written on: Saturday, March 11, 2017. Written on: Thursday, March 02, 2017. Written on: Wednesday, March 01, 2017. Written on: Tuesday, February 28, 2017. Written on: Monday, February 27, 2017. Written on: Sunday, February 26, 2017. Written on: Saturday, February 25, 2017. Written on: Friday, February 24, 2017. Written on: Thursday, February 23, 2017. Written on: Tuesday, February 21, 2017. Written on: Tuesday, February 14, 2017. Written on: Monday, February 13, 2017. Written on: Sunday, February 12, 2017. Written on: Monday, February 06, 2017. Written on: Saturday, February 04, 2017. Written on: Sunday, January 29, 2017. Written on: Sunday, January 22, 2017. Written on: Thursday, January 19, 2017. Written on: Wednesday, January 18, 2017. Written on: Sunday, January 15, 2017. Written on: Friday, January 13, 2017. Written on: Wednesday, January 11, 2017. Written on: Saturday, January 07, 2017. Written on: Friday, January 06, 2017. Written on: Thursday, January 05, 2017. Written on: Tuesday, December 27, 2016. Written on: Tuesday, December 20, 2016. Written on: Friday, December 16, 2016. Written on: Tuesday, December 06, 2016. Written on: Wednesday, November 30, 2016. Which Type Of Bowling Ball Would You Choose? Written on: Tuesday, November 29, 2016. Written on: Sunday, November 27, 2016. Written on: Wednesday, November 23, 2016. Written on: Monday, November 14, 2016. Written on: Saturday, October 22, 2016. Written on: Thursday, October 20, 2016. Written on: Wednesday, September 21, 2016. Written on: Tuesday, September 13, 2016. Written on: Saturday, August 20, 2016. Written on: Wednesday, July 27, 2016. Written on: Monday, July 04, 2016. Written on: Thursday, June 30, 2016. Written on: Saturday, June 11, 2016. Written on: Monday, May 30, 2016. Written on: Friday, May 20, 2016. Written on: Sunday, May 08, 2016. Written on: Wednesday, April 13, 2016. Written on: Saturday, March 26, 2016. Written on: Saturday, March 12, 2016. Is Bowling A Good First Date? Written on: Monday, March 07, 2016. Written on: Sunday, March 06, 2016. Written on: Tuesday, March 01, 2016. Written on: Tuesday, February 23, 2016. Written on: Monday, February 22, 2016. How Can I Improve My Steps For Better Bowling Balance? Written on: Friday, February 05, 2016. Why Is Owning Bowling Shoes Important? Written on: Monday, February 01, 2016. What Are Advantages In Owning My Own Bowling Ball? Written on: Thursday, January 21, 2016. Written on: Wednesday, January 20, 2016. Written on: Tuesday, January 05, 2016. Written on: Saturday, December 26, 2015. Written on: Wednesday, December 23, 2015. Written on: Sunday, December 20, 2015. Written on: Tuesday, December 15, 2015. Written on: Tuesday, December 08, 2015. Written on: Tuesday, December 01, 2015. As A New Bowler, Which Bowling Ball Should I Buy? Written on: Thursday, November 26, 2015. As New Bowler, What Equipment Should I Really Buy? Written on: Monday, November 23, 2015. Written on: Wednesday, November 18, 2015. Written on: Tuesday, November 17, 2015. Written on: Monday, November 16, 2015. Ask Bob (November 2015) - Do I Need To Move Or Am I Making Bad Shots? Written on: Thursday, November 12, 2015. Ask Bob (October 2015) - How Do I Make Adjustments On The Lane? Written on: Thursday, October 29, 2015. 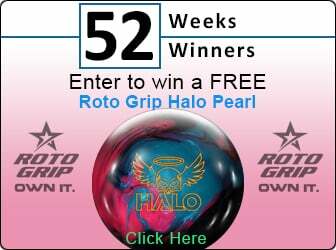 As A New Bowler, Should I Buy An Inexpensive Bowling Ball Or A More Expensive One? Written on: Sunday, September 27, 2015. Written on: Saturday, September 26, 2015. Ask Bob (September 2015) - How Often Should You Buy A New Bowling Ball? Written on: Wednesday, September 16, 2015. Written on: Saturday, September 12, 2015. Written on: Wednesday, September 09, 2015. Written on: Saturday, August 15, 2015. If I Can't See Bowling Oil, How Will I know How To Play The Lanes? Written on: Monday, August 10, 2015. Written on: Wednesday, August 05, 2015. Written on: Friday, July 31, 2015. Written on: Monday, July 27, 2015. What Does Athletic Posture Mean In Bowling? Written on: Friday, July 24, 2015. How Do I Clean My Bowling Ball? Written on: Friday, July 17, 2015. Written on: Tuesday, July 14, 2015. Written on: Saturday, July 11, 2015. Written on: Tuesday, July 07, 2015. As A New Bowler, What Should I Know About The Game? Written on: Saturday, July 04, 2015. What Is The Best Bowling Tip For Beginners That Can Help Anyone? Written on: Sunday, June 28, 2015. How Hard Should I Squeeze My Bowling Ball? Written on: Friday, June 26, 2015. Written on: Saturday, June 20, 2015. Is Bowling Body English Really Necessary? Written on: Monday, June 15, 2015. How Can I Apply Spin On My Bowling Ball? Written on: Tuesday, May 19, 2015. Written on: Monday, May 18, 2015. Written on: Thursday, May 14, 2015. Written on: Sunday, May 03, 2015. Written on: Saturday, May 02, 2015. Should I Take Straight Bowling Steps In My Approach? Written on: Friday, May 01, 2015. How Do I Improve My Bowling Stance? Written on: Thursday, April 30, 2015. Why Don't Most Bowling Pro Shops Display All Of The New Bowling Balls? Written on: Friday, April 17, 2015. Written on: Wednesday, April 15, 2015. How Do I Stop Dropping My Bowling Ball Behind The Line? Written on: Monday, April 06, 2015. How Can I Improve My Ball Reaction? Written on: Sunday, March 22, 2015. Written on: Sunday, February 15, 2015. What Is The One Best Bowling Tip For Better Balance? Written on: Saturday, February 14, 2015. What Bowling Accessories Should I Carry In My Bag? Written on: Tuesday, February 03, 2015. How Do I Remind Myself What To Do When I Bowl? Written on: Monday, January 19, 2015. How Should My Bowling Ball Fit? Written on: Wednesday, January 07, 2015. Written on: Tuesday, December 30, 2014. Written on: Wednesday, December 17, 2014. Written on: Friday, December 12, 2014. Written on: Thursday, December 11, 2014. Written on: Monday, November 03, 2014. Written on: Sunday, November 02, 2014. Written on: Saturday, November 01, 2014. Written on: Saturday, October 04, 2014. Written on: Thursday, October 02, 2014. Written on: Wednesday, October 01, 2014. Written on: Friday, September 05, 2014. Written on: Thursday, September 04, 2014. Written on: Wednesday, September 03, 2014. Written on: Tuesday, September 02, 2014. Written on: Monday, September 01, 2014. Written on: Wednesday, August 06, 2014. Written on: Tuesday, August 05, 2014. Written on: Sunday, August 03, 2014. Written on: Friday, August 01, 2014. Written on: Saturday, July 05, 2014. Written on: Friday, July 04, 2014. How Do I Use The Bowling Arrows To Line Up For The Pocket? Written on: Thursday, July 03, 2014. Written on: Wednesday, July 02, 2014. Written on: Friday, June 06, 2014. Written on: Thursday, June 05, 2014. Written on: Monday, June 02, 2014. Written on: Wednesday, May 07, 2014. Written on: Sunday, April 06, 2014. Written on: Saturday, April 05, 2014. Written on: Thursday, April 03, 2014. Written on: Wednesday, April 02, 2014. Written on: Tuesday, April 01, 2014. Written on: Thursday, March 06, 2014. Written on: Wednesday, March 05, 2014. Written on: Sunday, February 02, 2014. Written on: Saturday, February 01, 2014. Written on: Friday, January 03, 2014. Written on: Thursday, January 02, 2014. Written on: Wednesday, January 01, 2014. What Can Beginner Bowlers Learn From Taking Lessons? Written on: Sunday, December 15, 2013. Written on: Wednesday, December 04, 2013. Written on: Tuesday, December 03, 2013. Written on: Sunday, December 01, 2013. Written on: Wednesday, November 06, 2013. Written on: Tuesday, November 05, 2013. Written on: Monday, November 04, 2013. Written on: Sunday, November 03, 2013. Written on: Friday, November 01, 2013. Written on: Sunday, October 06, 2013. Written on: Thursday, October 03, 2013. Written on: Wednesday, October 02, 2013. Written on: Thursday, September 05, 2013. Written on: Monday, September 02, 2013. Written on: Thursday, August 01, 2013. Written on: Saturday, July 06, 2013. Written on: Friday, July 05, 2013. Written on: Thursday, July 04, 2013. Written on: Wednesday, July 03, 2013. Written on: Tuesday, July 02, 2013. Written on: Monday, July 01, 2013. Written on: Wednesday, June 05, 2013. Written on: Tuesday, June 04, 2013. Written on: Monday, June 03, 2013. Written on: Sunday, June 02, 2013. Written on: Saturday, June 01, 2013. Written on: Saturday, May 25, 2013. Written on: Monday, May 06, 2013. Written on: Sunday, May 05, 2013. Written on: Saturday, May 04, 2013. Written on: Friday, May 03, 2013. Written on: Thursday, May 02, 2013. Written on: Wednesday, May 01, 2013. Written on: Saturday, April 06, 2013. Is Bowling A Sport Or A Game? Written on: Friday, April 05, 2013. Written on: Thursday, April 04, 2013. Written on: Wednesday, April 03, 2013. Written on: Tuesday, April 02, 2013. Written on: Monday, April 01, 2013. Written on: Wednesday, March 06, 2013. Written on: Tuesday, March 05, 2013. Written on: Monday, March 04, 2013. Written on: Sunday, March 03, 2013. Written on: Saturday, March 02, 2013. Written on: Friday, March 01, 2013. Written on: Friday, February 08, 2013. Written on: Thursday, February 07, 2013. Written on: Wednesday, February 06, 2013. Written on: Tuesday, February 05, 2013. Written on: Monday, February 04, 2013. Written on: Sunday, February 03, 2013. Written on: Saturday, February 02, 2013. Written on: Friday, February 01, 2013. Written on: Tuesday, January 08, 2013. Written on: Monday, January 07, 2013. Written on: Sunday, January 06, 2013. Written on: Saturday, January 05, 2013. Written on: Friday, January 04, 2013. Written on: Thursday, January 03, 2013. Written on: Wednesday, January 02, 2013. Written on: Tuesday, January 01, 2013. Written on: Saturday, December 08, 2012. Written on: Friday, December 07, 2012. Written on: Thursday, December 06, 2012. Written on: Wednesday, December 05, 2012. Written on: Tuesday, December 04, 2012. Written on: Monday, December 03, 2012. Written on: Sunday, December 02, 2012. Written on: Saturday, December 01, 2012. Written on: Thursday, November 08, 2012. Written on: Wednesday, November 07, 2012. Written on: Tuesday, November 06, 2012. Written on: Monday, November 05, 2012. Written on: Sunday, November 04, 2012. Written on: Saturday, November 03, 2012. Written on: Friday, November 02, 2012. Written on: Thursday, November 01, 2012. Written on: Sunday, October 14, 2012. Written on: Monday, October 08, 2012. Written on: Sunday, October 07, 2012. Written on: Saturday, October 06, 2012. Written on: Friday, October 05, 2012. Written on: Thursday, October 04, 2012. Written on: Wednesday, October 03, 2012. Written on: Tuesday, October 02, 2012. Written on: Monday, October 01, 2012. Written on: Monday, September 10, 2012. Written on: Sunday, September 09, 2012. Written on: Saturday, September 08, 2012. Written on: Friday, September 07, 2012. Written on: Thursday, September 06, 2012. Written on: Tuesday, September 04, 2012. Written on: Monday, September 03, 2012. Written on: Sunday, September 02, 2012. Written on: Saturday, September 01, 2012. Written on: Thursday, August 16, 2012. Written on: Wednesday, August 15, 2012. Written on: Tuesday, August 14, 2012. Written on: Monday, August 13, 2012. Written on: Friday, August 10, 2012. Written on: Thursday, August 02, 2012. Written on: Saturday, July 07, 2012. Written on: Friday, July 06, 2012. Written on: Tuesday, July 03, 2012. Written on: Monday, July 02, 2012. Written on: Sunday, July 01, 2012. Written on: Monday, June 11, 2012. Written on: Wednesday, June 06, 2012. Written on: Tuesday, June 05, 2012. Written on: Monday, June 04, 2012. Written on: Sunday, June 03, 2012. Written on: Friday, June 01, 2012. Written on: Monday, May 21, 2012. Written on: Monday, May 14, 2012. Written on: Monday, May 07, 2012. Written on: Friday, May 04, 2012. Written on: Thursday, May 03, 2012. Written on: Wednesday, May 02, 2012. Written on: Wednesday, April 25, 2012. Written on: Monday, April 23, 2012. Written on: Thursday, April 19, 2012. Written on: Tuesday, April 10, 2012. Written on: Wednesday, March 21, 2012. Written on: Tuesday, March 20, 2012. Written on: Wednesday, March 14, 2012. Written on: Wednesday, February 22, 2012. Written on: Tuesday, February 21, 2012. Written on: Monday, February 20, 2012. Written on: Tuesday, February 14, 2012. Written on: Wednesday, February 08, 2012. Written on: Tuesday, February 07, 2012. Written on: Friday, February 03, 2012. Written on: Wednesday, January 18, 2012. Written on: Thursday, January 12, 2012. Written on: Monday, January 09, 2012. Written on: Friday, January 06, 2012. Written on: Thursday, December 01, 2011. Written on: Tuesday, October 25, 2011. Written on: Friday, October 07, 2011. Written on: Thursday, September 08, 2011. Written on: Tuesday, August 09, 2011. Written on: Thursday, August 04, 2011. Written on: Thursday, July 14, 2011. Written on: Tuesday, July 05, 2011. Written on: Friday, June 17, 2011. Written on: Tuesday, June 14, 2011. Written on: Thursday, May 05, 2011. Written on: Tuesday, April 26, 2011. Written on: Wednesday, April 20, 2011. Written on: Tuesday, April 05, 2011. Written on: Tuesday, March 15, 2011. Written on: Monday, February 14, 2011. Written on: Friday, February 11, 2011. Written on: Tuesday, February 08, 2011. Written on: Tuesday, January 25, 2011. Written on: Tuesday, December 21, 2010. Written on: Tuesday, December 14, 2010. Written on: Monday, December 06, 2010. Written on: Monday, November 29, 2010. Written on: Friday, November 05, 2010. Written on: Thursday, November 04, 2010. Written on: Wednesday, November 03, 2010. Written on: Wednesday, October 27, 2010. Written on: Monday, October 11, 2010. Written on: Friday, September 24, 2010. Written on: Thursday, September 23, 2010. Written on: Wednesday, September 15, 2010. Written on: Monday, September 13, 2010. Written on: Friday, September 10, 2010. Written on: Tuesday, September 07, 2010. Written on: Tuesday, August 31, 2010. Written on: Thursday, August 12, 2010. Written on: Tuesday, March 30, 2010. Written on: Monday, February 01, 2010. Written on: Saturday, December 12, 2009. Written on: Wednesday, December 09, 2009. Written on: Monday, December 07, 2009. Written on: Thursday, December 03, 2009. Written on: Wednesday, December 02, 2009. Written on: Tuesday, December 01, 2009. Written on: Monday, November 30, 2009. Written on: Wednesday, November 25, 2009. Written on: Friday, November 13, 2009. Written on: Wednesday, October 28, 2009. Written on: Thursday, September 17, 2009. Written on: Thursday, July 16, 2009. Written on: Monday, July 13, 2009. Written on: Thursday, July 09, 2009. Written on: Friday, January 02, 2009. Written on: Saturday, November 15, 2008. Written on: Thursday, October 09, 2008. Written on: Thursday, February 15, 2007. Written on: Tuesday, January 02, 2007. Written on: Monday, May 22, 2006.